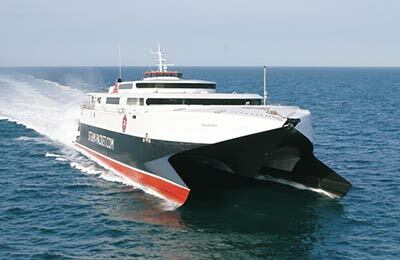 Seacat Ferry has been taken over by Isle of Man Steam Packet. There is no need to worry though as you can find a ferry to the Isle of Man, Heysham, Liverpool, Belfast and Dublin on the Isle of Man Steam Packet page. 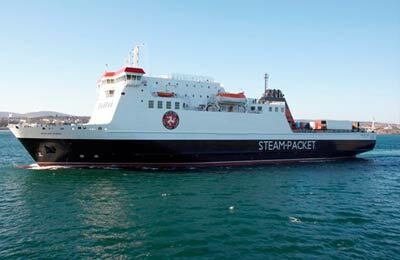 AFerry always has the latest special offers and deals for Isle of Man Steam Packet ferries. 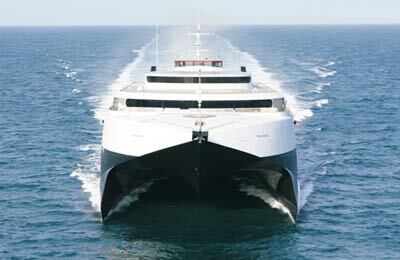 If you are interested in the SeaCat Catamaran service that ran from Dover to Calais, this service also ceased. However, you can compare all current ferry companies on this route on our Dover to Calais ferries page. See below for the latest Steam Packet prices and sailing times. Click on your ferry route for a detailed Isle of Man Steam Packet timetable with arrival and departure times. Onboard services on Steam Packet / Seacat include a variety of restaurants serving hot meals, snack bars, bars, duty free shopping and spacious lounges and cabins. Whether you use the Isle of Man Steam Packet / Seacat Isle of Man Liverpool route, the Steam Packet / Seacat Isle of Man Belfast line, the Steam Packet / Seacat Isle of Man Dublin ferry or any other route, you are bound to have a relaxing and pleasant journey.